The Employment Appeal Tribunal (EAT) has upheld a Tribunal decision that voluntary overtime, stand-by and call out payments must be reflected in holiday pay, provided such payments amount to “normal remuneration”. Importantly, the EAT held that the worker does not have to be contractually obliged to carry out the work in order for the related payment to be included in holiday pay (Dudley Metropolitan Borough Council v Willetts and others). Under Article 7 of the Working Time Directive (WTD), EU Member States must ensure that workers have the right to at least 4 weeks’ paid annual leave. The WTD is implemented into UK law by the Working Time Regulations (WTR). The WTR provides workers with 5.6 weeks’ annual leave, of which 4 weeks’ is derived from the WTD. In Williams and others v British Airways plc (2011) (Williams), the ECJ ruled that “workers must receive their normal remuneration for that period of rest“. The ECJ expanded on the concept of “normal remuneration” to hold that a worker on holiday is entitled not only to basic salary, but also to any aspect of pay which is “linked intrinsically to the performance of the tasks which he is required to carry out under his contract of employment“. This opened the door for workers with normal working hours to seek to include other components of pay in their holiday pay. In Lock v British Gas Trading Limited (2014) (Lock), the ECJ held that where a worker was paid commission calculated on the basis of the sale that he had made, that commission must also be included. In November 2014, in the combined cases of Bear Scotland Ltd v Fulton and Baxter; Hertel (UK) Ltd v Wood and others; and Amex Group Ltd v Law and others (Bear Scotland), the Employment Appeal Tribunal (EAT) held that non-guaranteed but compulsory overtime should be included in holiday pay provided that it was “normal remuneration“. However, the EAT did not make any findings in relation to purely voluntary overtime, because the issue was not engaged in any of the cases in question. This decision is the first appellate decision on the question of voluntary overtime. The 56 claimants were employed by Dudley Metropolitan Borough Council (Dudley) as tradesman involved in the repair and maintenance of Dudley’s housing stock. The claimants had fixed contractual working hours (a few also worked a some additional hours of compulsory and guaranteed overtime). All of the claimants worked additional voluntary overtime. They also volunteered to be placed on a “standby” and “call out” rota for out-of-hours emergency work. The claimants were paid for their voluntary overtime and their voluntary standby and call out time. They also received a mileage allowance. Dudley calculated holiday pay based on contractual hours only. They excluded the voluntary overtime, standby and call out payments and also the mileage allowance. The claimants brought Tribunal claims arguing that these additional sums should have been included in their holiday pay. The Tribunal decided that in some cases the additional payments had been paid with sufficient regularity that they were part of the claimants’ normal pay. 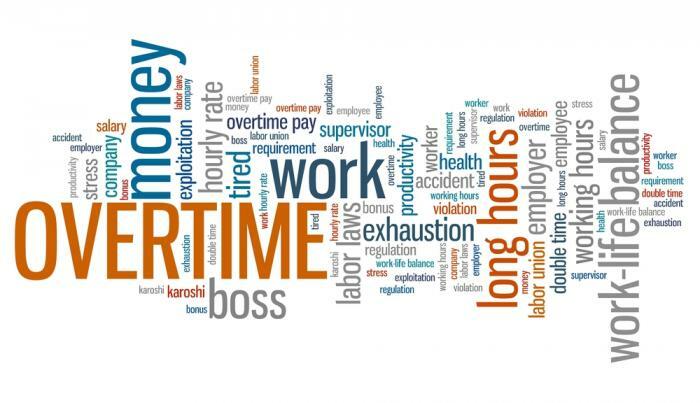 However, it is worth noting that voluntary overtime was not considered to be normal pay for one lead claimant where it was performed only rarely. Where the payments were normal pay, the Tribunal concluded that they should be included in holiday pay in respect of the 20 days’ annual leave arising under the WTD. The additional payments did not have to be included in holiday pay in respect of: (i) the additional 8 days’ arising under the WTR; or (ii) any additional contractual entitlement. Following the EAT’s obiter comments in Bear Scotland, the Tribunal also held that workers accrued their WTD leave before the additional WTR leave. Dudley appealed to the EAT (where the lead claimant changed from Mr Brettle to Mr Willetts). They argued that voluntary overtime payments (and other payments) should not count as “normal remuneration” because the necessary “intrinsic link” to the performance of the contractual tasks was missing. It was argued that voluntary overtime was not performed under the contract of employment but by reference to a separate agreement between the parties. Dismissing the appeal, the EAT Judge held that the overarching principle was that normal – not contractual – remuneration must be paid during the annual leave guaranteed by Article 7 of the WTD. In Williams the presence of an intrinsic link between the payments and the performance of tasks under the contract meant that they had to be treated as normal remuneration. However, the decision in Williams reflected the ECJ’s assessment of the specific payments at issue in that case and was only one example of a decisive criterion of normal remuneration – it was not the only decisive criterion. once a period of voluntary overtime had begun the claimants were in no different position to an employee working compulsory overtime. The EAT Judge said it would be for the fact-finding tribunal to determine whether the payments were sufficiently regular and settled as to amount to normal remuneration. Although the decision did not extend to what reference period should be used in calculating holiday pay in such circumstances, the Judge did remark that: “Fluctuations in the amount paid would be catered for by the 12 week average“. This is the first appellate decision on the inclusion of voluntary overtime payments in holiday pay. Does this mean that employers should adjust the calculation of holiday pay to include voluntary overtime payments if they have not already done so? Absent a further appeal, this decision is binding and employers should consider adjusting holiday pay. However, uncertainties remain as to how such an adjustment should be effected. First, it is not clear what reference period should be used to calculate holiday pay. Is a 12-week reference period appropriate (as is used for workers without normal pay), or would a longer reference period be more suitable in certain cases given the need to comply with overarching principle of paying normal pay? In the absence of any guidance from the Tribunals or the Government, employers will have to make their own judgement on what reference period to use. In this context, it is worth noting that the recently-published Taylor Review recommended the use of longer reference periods for workers with irregular hours. However, it is unclear if, or when, this proposal will be taken forward. Second, uncertainty remains as to when a payment is considered to be paid regularly over a sufficient period of time to warrant inclusion in holiday pay. The EAT Judge suggested a payment once every four or five weeks would meet the threshold if paid over a sufficient period of time. But how irregular does a payment have to be to fall out of scope (e.g. is once a year, every year, regular or irregular)? Again, employers will have to make their own judgement on whether a payment is in or out of scope. Where a decision is taken to adjust the calculation of holiday pay it should be remembered that these payments only strictly need to be included for WTD-derived holiday (i.e. 20 days per year for a full time worker) and not the additional WTR-derived holiday (i.e. 8 days per year for a full time worker). However, some employers may opt to make the changes on a wholesale basis on the grounds of administrative simplicity. Further, if the UK leaves the EU and does not have to comply with EU working time laws, it is possible that the Government will rewrite the WTR to provide that holiday pay should be basic pay only. Therefore, employers may wish to preserve a degree of flexibility by reserving the right to adjust the calculation of holiday pay in accordance with applicable law. Operating as business partners with our clients, we have built a solid reputation for supporting our clients on complex legal and business issues in our core areas of expertise. Dallas Legal’s foundations are built upon an entrepreneurial spirit – which enables us to understand our clients' aspirations, current needs and future requirements. © Copyright 2016-2019 Dallas Legal Ltd, Registered in England & Wales, Registration Number 08361005.